Looking for Clarks shoes on Black Friday need not be hard anymore, if they list any products we will share them here so you do not miss out. All you need to do is either bookmark this page or join us on Facebook and Twitter for notifications. This is your dedicated Clarks shoes sale page for Black Friday deals. If you are looking for the greatest Black Friday deals we here at BFUK will do our upmost best to provide them here with prices attached. The month of November is when the discounted products start showing up on the international shoe manufacturer and retailer website, but they will not keep you updated – we will. Clarks sell boots, sandals, shoes, slippers and trainers; you can also shop by style such as desert boots, Chelsea or casual boots etc. You can even shop for pram shoes, pre-walking or walking shoes for ages 0-2 years. Keep popping back because when Clarks Black Friday deals go live they will sell rather quickly. Clarks deals can be found via official Black Friday hub. The Clarks Black Friday sale has been confirmed for 2017 on its website. No dates have been given nor has the specific deals. Clarks just pulled a pair of girls shoes because people accused them of being sexist… The girls shoes were called “Dolly Babe” – do you think the world is going crazy moaning about a pair of shoes? 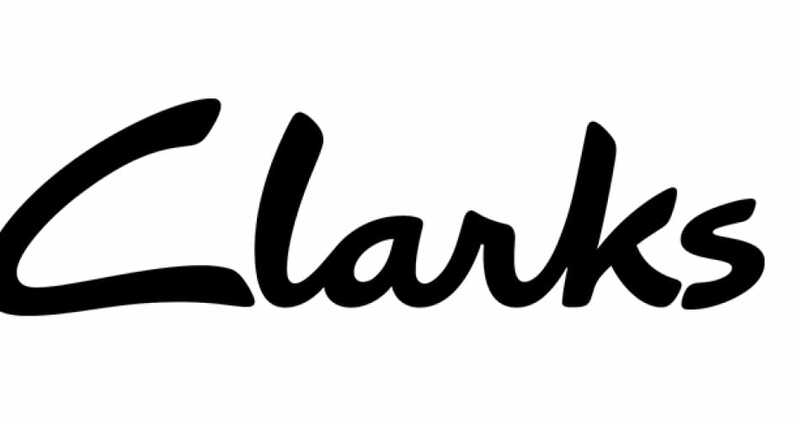 Clarks is going to take part this year, check out their Black Friday page for more information. Clarks Black Friday deals starts Thursday 24th, but they will apparently be having a week of offers starting Monday 21st, I believe they are calling it Cyber Week. Clarks have confirmed they will be taking part in the Black Friday 2016 sale on November 25th. Last year of 2015 Clarks has amazing deals going on, where you needed to enter discount codes for money off. Such as Women’s boots Code = BFIRST / Adults gifts Code = BQUICK / Adults Gore-Tex Code = BFAST and Adults footwear & accessories Code = BELIEVE. Is it going to be similar set up this year? Your not wrong Janey, I have just bought the Risi Hop white leather sandals for just £20, that’s a cool £20 off. Get up to 50% off Clarks selected adult sandals. This is a cool women’s sandal offer you cannot refuse. I am looking for Clarks shoes for kids, but would prefer them to be in a sale. Is there any sales happening before Black Friday at all. Thank you in advance. Clarks final clearance up to 60% sale is still on, this is for both online and in store. They are also offering free delivery. This is great news for Clarks shoppers, the reason I say this is simply down to when visiting Clarks online you can see they are still offering 20% off ALL full price adults footwear and accessories (Actually can use this in store and online) – Use this code BELIEVE and away you go. Clarks is offering a cool up to 50% off thanks to its new Christmas sale, which was launched today. If you see something you really like you will also be happy to know you can get free delivery. I knew I should have waited to buy my Outvent Mid leather boots, they are only £65 now, i paid £130. Roll o tomorrow when i can apply the code BFIRST for 25% off any ladies boots. Cannot wait…. The deals above are good enough for me, i could do with some new boots from Clarks as well, thanks guys. I am not too sure if they do Black Friday in the UK, but if they do i will be making sure i check back here. Thanks guys for this page. How cute, check out the Dabi Petal Fst in tan suede girls boot for only £38. I like the limited edition Clarks Sand 65 Desert Boots. The only downside is the price of £250, please i beg you be on the Black Friday sales list. Did Clarks do Black Friday sales last year?